Becuse FPV hobbyist can't fully control engines and plane equipment full performance,causing failure of test fight or avionics System failure after a short flight.Feiyutech company design a FPV multifunction X5 complete set for player.Especially for the beginner to improve their UAV operation training, FPV exercises, you will enjoy FPV flight after installation of camera and diagram. 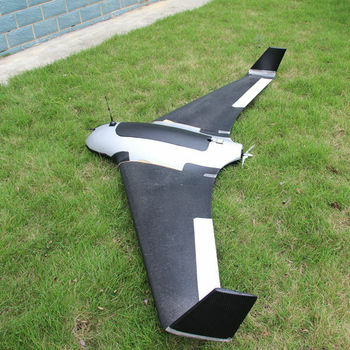 X8 wingspan is 2000mm,skywalker's first professional FPV/UAV flying wing airplane,it is popuar amoung hobbyist both at home and abroad,it has the features of small resistance and long distance, flexible, flight control accurate, etc,widely used in the field of military unmanned aerial vehicles (uavs). 1. PANDA provides high-precision flight attitude measurement and control through the utilization of an integrated 32 bits microprocessor, GPS receiver, three-axis MEMS gyros, three-axis accelerometer, three-axis magnetic sensor, accurate barometric pressure sensor, attitude algorithm, Kalman filtering and data fusion algorithms. 2. Combined the attitude module and the control module, get more small volume and lighter weight. 3. Realize auto take off and auto land, maximum reduce the operating pressure. 4. Can accord to the plane internal space to adjust the install direction , easier to complete the connection. 5. 10Hz data rate GPS receiver, 35 seconds fast positioning time and accuracy of 2.5 meters CEP. The GPS can record the positional parameter with battery , the locating time greatly improved. 6. 100HZ inner attitude control, 10HZ outer navigation control. d) V-tail rudder may be used, however a third party mixer have to be supplied by the user. b) Mouse controlled flight mode. 11. Any standard RC transmitter and receiver can be used with this system. 12. Automated RTH (Return to Home) protection when there is a break in GCS communication link via the data radios. This time the system is working only in the data radio control mode. 13. Panda can Integrated automatic and manual aerial photography triggering. Equidistance or Timing taking photo. Combine with the POS data record module can record the current flight attitude info of the taking photo point, for example the Longitude, latitude, altitude, speed, etc. 14. The GCS software helps integrate Automated and Manual flight control modes in an easy to use display interface. 15. The GCS software includes electronic map formatting. By using the electronic map, aircraft route and tasks can be modified in real-time via your GCS computer. 16. Real time display on the GCS includes flight parameters such as main pack voltage, mAh consumed, Amp draw, GPS satellite strength and temperature of the autopilot unit. 17. All flight parameters are downloaded automatically by the GCS for instant playback. » When using the Data Radio to control the aircraft, the controlling signals from the RC Receiver is directly sent to the Remote Adapter and converted to digital signals. The Data Radio will then upload the commands to your aircraft via the data radio. » The GCS is only used to monitor telemetry and flight status of the aircraft. Transmission of commands is minimal. i.e. the aircraft is mainly controlled by your RC Transmitter. The autopilot still can realize most of the functions (for example, air route setting, RTH, circling) without the GCS. Conventional, V tail, elevon, no aileron, etc. Various kinds of layout form of small and medium-sized vehicle automatic navigation and driving. All kinds of the airship automatic navigation and driving. Our new design Panda2 is using the digital sensor chips and integrated structure, controller structure more compact. Panda2 is no need to external POS information record module and SD card for store the POS information. Panda2 has already built-in POS information record module, and in the POS information record module has 4M storage space, will automatically record photo-taken POS information. You can through the Data Radio directly connection to FY-Panda2-POS information read software to read the photo-taken Pos information. Optimize automated take off and landing,also simplify the flight operation. Panda2 can Integrated automatic and manual aerial photography triggering. Equidistance or Timing taking photo.Also Panda2 add Camera Gimbal Stabilization function. The GPS working voltage is +5V. Panda2 can connect with the power management module, power management module has integrated current sensor. It can achieve a variety of power supply mode, Panda2 and servos can be separated power on, also both can be powered by power management module. Panda2 can connect with the air speed sensor which automatically controls throttle and can make the aircraft more stable. Panda2 can direct connection RC remote control receiver , also it can use the remote adapter and data radio to enhance remote distance. The role of the remote adapter is turning receiver signal to digital signal for data radio. Common remote control distance generally is at 600 meters, depending on the performance of the remote control and the RC receiver. This cannot meet the needs of long distance, after using data radio, remote control distance is decided by data radio, you can reach more than 10KM, completely solve the problem of long-range FPV flight. Data radio can also be connected to the FY-GCS ground station software to monitor the recording flight path and data. Real time monitoring — It can monitor flight attitude. And via the GCS software you can change the flight altitude in real time and realize the mouse click flight. Record and monitoring flight —You can monitor and download flight path via the GCS software in your computer. Thanks for your support and attention to FY, we'll always service for you. We suggest you useing CPAM or HongKong post as shipping , it is cheaper, arrives within 10-15days normally, because X8 is a big size, the shipping cost will be caculated by volume. After you pay, please leave a message to tell us the goods value, otherwise, we will declare original value, thank you!